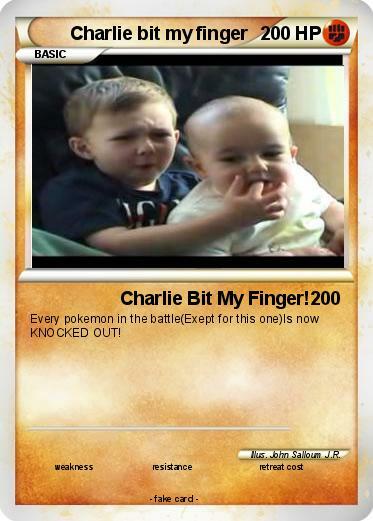 Attack 1 : Charlie Bit My Finger! Every pokemon in the battle(Exept for this one)Is now KNOCKED OUT! Illustrator : John Salloum J.R.